Companies and organizations have been exploiting the millennial workforce for quite a while now and not much has been done to change that. This winter I took the time to look for internships and for the first time got in touch with the absolutely UNREAL requirements companies have for labor they’re not even paying for. Even though I’m not saying anything particularly new and might sound naïve, I think it is important to open a special case for companies and organizations in the sustainability and environmental sector, whose principles are, at least sometimes, a bit far from its actions. Most initiatives in this sector like to hold some values very dear, writing beautiful commitments to mitigate their environmental impacts and to fight for a fairer world with more equality, the United Nations being the highest representative of this fight. 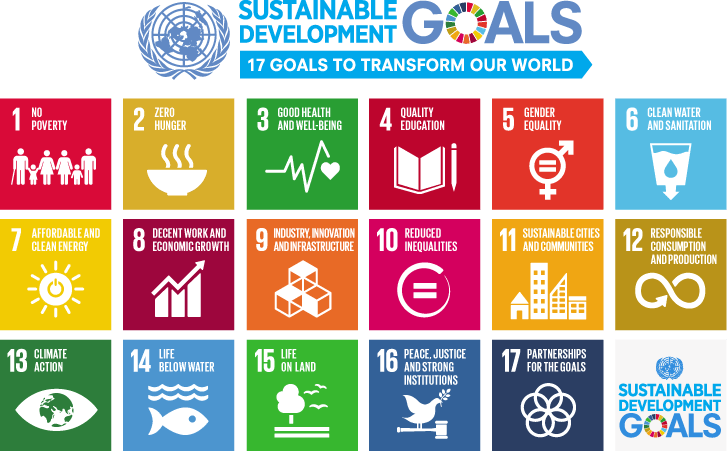 In 2015, the UN released its 17 SDGs (Sustainable Development Goals), a 15-year commitment to “end poverty, protect the planet and ensure prosperity for all”. There are three of these goals (1, 8 and 10 in the image) that I would like to focus on this text for one special reason - they are the goals you can more easily associate with work. In a time when work is one of the main issues concerning the youth and young adults, the companies and organizations that promote the SDGs should be the very first to help tackling those problems, and, by offering unpaid internships, they are not doing that for one big and obvious reason: very few people in this world can afford to work for free. Specially when looking at the UN case, their internships, as interesting as they look, they are also located in some of the most expensive cities. New York, Geneva, Bangkok, Vienna, to name a few. I’m sure most of the US students, who in addition of leaving college in high debt, won’t enjoy working for free in New York for months afterwards with fake promises of higher employability. The SDGs cannot be handpicked, they have to be seen as a whole. If we want to reduce inequality (goal 10) and offer decent work (goal 8), those organizations and companies must take on the responsibility in their hands and be the first to offer decent employment to the youth. In Sweden, where I live, most of the internships for the environmental sector were unpaid and several of them also mentioned the SDGs on their pages and sometimes even in the internship ad. In my personal case, I always get myself wondering whether it is worth it or not. I hate the idea of working for 6 months for free but I also get caught in the “improve your CV” web and find myself considering it sometimes — and I’m sure I’m not the only one. I’m aware it is not an easy task to solve and I don’t even have that many answers to it but I would like to use my home country, Brazil, as an example of a solution. Internships in Brazil are usually paid; both in the government and in the private sector, there is always a contract signed with all your rights. An intern is usually entitled to having their travel costs covered and a small monthly wage. Even though the amount is not very big, it is already enough to give the work you’re doing some value and it makes you represent something to the company you are working in. During my degree I worked in three internships which I got paid for, and so were many of my course mates. This money made a big difference for all of us regardless of background. I was very surprised when I arrived in Europe and found myself considering to work for free, and worse, in places that care about equality so much. The ethos of these organizations and companies is to fight for a better world, socially and environmentally, and so is their products and services, so why not translate it to the very people they employ? If you like what you read, leave a comment or some claps. I love reading the readers opinions.